2) For first time connecting, the server security key has not been seen before by PuTTY. You should allow the key to be added to the cache. 3) You will be asked a username and password. These will be the same SIT login account that you use for the lab computers. Cygwin is a local unix like environment that you can have on your windows machine. It is good for having access to a variety of linux command line tools and also serves all the functionality of PuTTY. You may need proxy settings before downloading all the packages. A reminder that this is showing you HOW to discover the proxy settings. 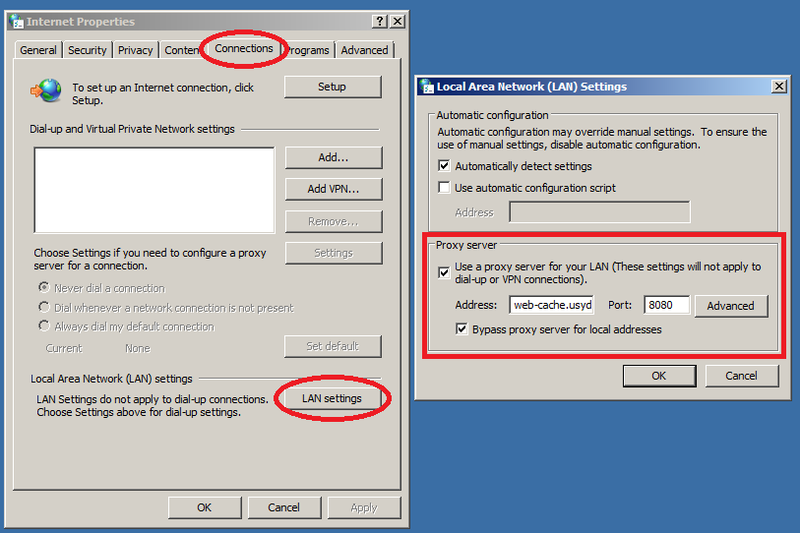 You should NOT SET proxy settings for your home PC, or computers outside office or university networks. cd ~ go into directory "project2"
login to the server "ucpu0.ug.it.usyd.edu.au" with username "sam"
rename the "readme.txt" file to "readme_old.txt"
cp -r project2 project3 copy file "readme.txt" to "readme_copy.txt"
copy directory "project2" as "project3"
A good minimalist reference for many commands in different systems can be found at ss64.